Over 100 experts from several countries in Europe, the U. S., Australia, and Asia will attend the 6th International Graduate Students and Scholars’ Conference in Indonesia (IGSSCI) on UGM campus from 19-20 August at UGM Graduate School. “The conference will be joined by no less than 100 academics from various disciplines from 12 countries in Europe, the U.S., Australia, and Asia,” Chair of Steering Committe of IGSSCI, Syamsul Ma’arif, Ph.D., said on Tuesday (18/11) during a press conference at the School. 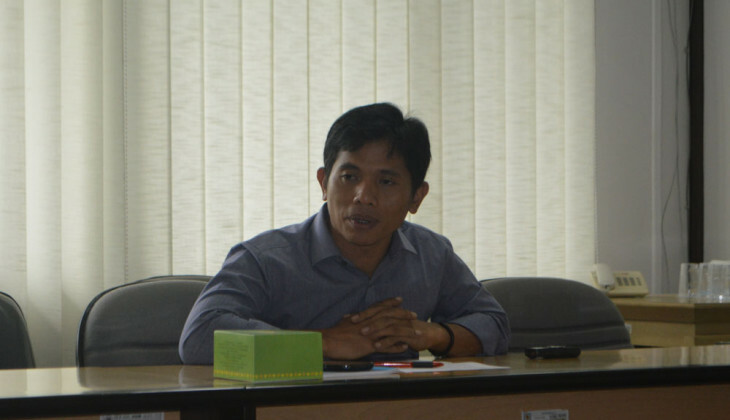 Syamsul explained the participants will present the research results related to science, religion, and local wisdom that respond to problems in agriculture, economy, politics, terrorism, corruption, environment, disaster, industry, technology, poverty, etc. Speakers include Sudarmadji (UGM), Yunita T Winarto (UI), Noer Fauzi Rohman (IPB), Haidar Bagir (Globethics), and Steven Dovers (ANU, Australia). Lawrence Surendra (University of Mysore,India), M. Hosein Mohktari (Iran), Gerryu Van Klinken (the Netherlands), as well as Rebakah Dako (Cornell University, USA). Syamsul said science and religion are claimed to be the most authoritative approach in offering solutions to humanitarian issue. “As a matter of fact, many solutions have been offered by science and religion to humanity, but both are not integrated so contributing concepts have not been achieved for existing problems,” he said. He hoped the Conference would be able to integrate both approaches so as to produce contributions to humanitarian issues.